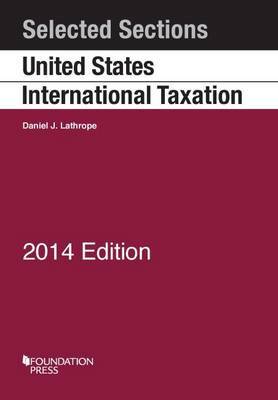 This uniquely affordable volume contains all of the relevant Internal Revenue Code provisions and Treasury Regulations necessary for introductory classes in United States international taxation. It is specially geared for use in two or three-unit international taxation courses, and includes essential legislation and regulations affecting U.S. taxation of foreign entities and of domestic entities whose income derives from outside the United States. Lathrope's 2014 edition is notably one quarter the length and a fraction of the price of the leading competition.